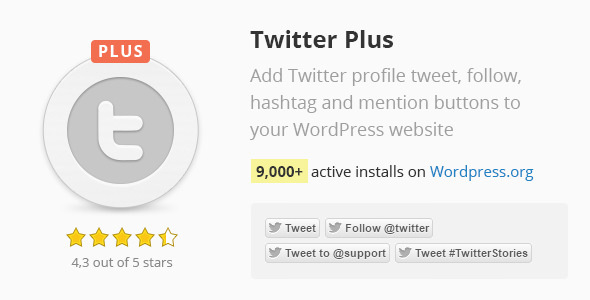 Twitter plugin makes it easy to add Follow, Tweet, Hashtag, and Mention buttons to WordPress website posts, pages. This is a great way to increase social media shares. Customize the appearance, configure settings, and enable other advanced options to encourage website visitors to communicate with you via Twitter.